Release price guide: Yesterday and Today Mono First State on label Capitol with catalogue numnber T2553, The United States. Vintage Record Value Release price guide: Yesterday and Today Mono First State on label Capitol with catalogue numnber T2553, The United States. 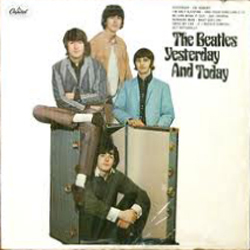 Yesterday and Today Mono First State is the collectable edition of title Yesterday And Today recorded by Beatles. The record was published with catalogue number Capitol T2553. This pressing was released in The United States. This record was release on 1966-00-00. It was released as a LP (12") and appeared on the Capitol record label. The sleeve cover was designed by an unknown artist. Our auction results for T2553 were last updated on 2018-05-18. Out of 67 auctions 31 items were sold. The best auction result was $635.00 On average $136.74 was the price paid for this record. 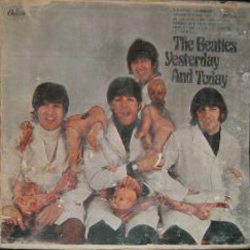 THE BEATLES LP YESTERDAY & TODAY SECOND STATE MONO BUTCHER COVER PAST-OVER FAB!! 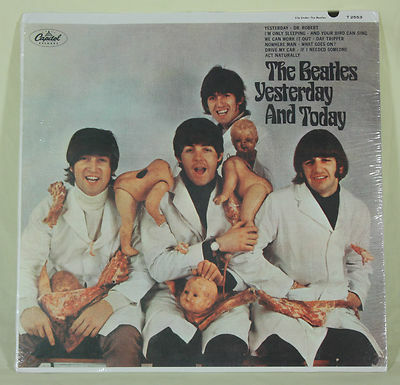 THE BEATLES YESTERDAY AND TODAY T-2553 MONO 2ND STATE BUTCHER COVER VG COND.